A couple of months ago I wrote about running safety tips, an article that had been inspired by an American woman, Kelly Herron, who had been assaulted in a public restroom at a park during an afternoon run. Kelly shared on Instagram that she had taken self-defence lessons and she utilised what she had learned from the self-defence class to fight for her life during the attack. The self-defence moves that she had learned, saved her. Had she not had any self-defence skill the attacker might have overpowered her that day. It is important therefore that every woman equips herself with some form of basic self-defence moves, given rate of violence against women across the world. Just recently Reebok launched a self-defence campaign for women. The Pretty Lethal campaign was aimed at providing women, with FREE self-defence lessons. 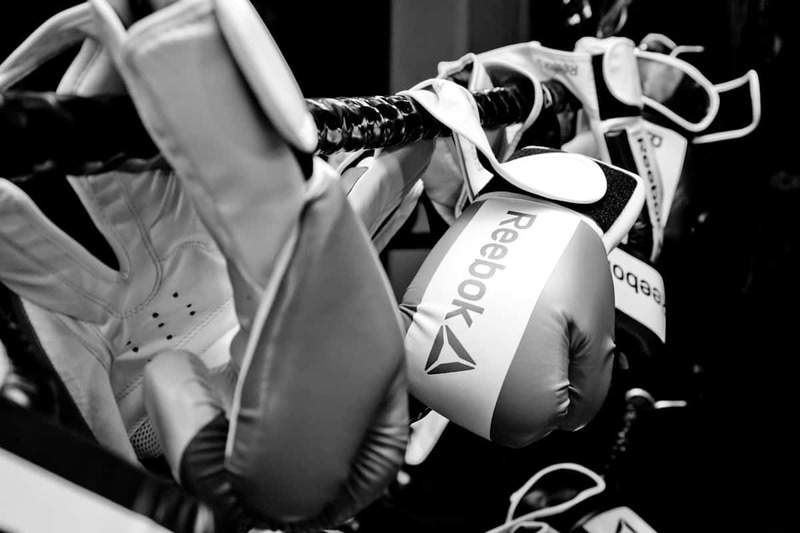 Together with Fight Club gyms, Reebok had created a simple way for women to arm themselves for life. The self-defence classes were being offered in Johannesburg, between 18th April and 19th May, with the ultimate goal of spreading to the rest of SA. 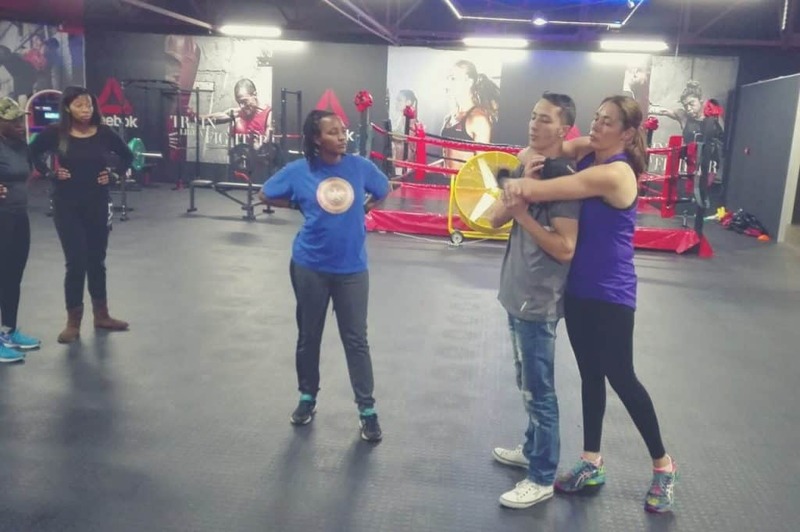 I signed up, attended the class at the Centurion Fight Club and now would like to share the valuable self-defence moves and tips I picked up. The martial arts class started off with a warm-up with Fight Club instructor, Given Majuba. He took us through a boxing session where we threw punches at the punching bags. Given taught us the basics such as how to make a fist, and tactically throw punches at a potential attacker. He also stressed the importance of maintaining a fighting stance at all times. The fighting stance he said, decreases the chances of falling over during an attack which is an undesirable position for a victim to find themselves in. The instructor had a one on one session with all 8 of us, including my two daughters aged 10 and 12 years old who had tagged along for the class. After 30 minutes of mastering the basic self-defence moves, the class was stepped up a notch and in came another instructor, Roelf Lotriet, with practical variations of possible attack scenarios. Roelf explained to us that if an attacker is aiming to strike your face with a punch or open fist, this is the move that will protect you from the assault. All you have to do is get into defensive mode by raising your arm to your face at an angle. With applied force, your raised arm will meet the attacker’s arm from inside and block the strike to your face. To get out of a headlock, you should stamp the attacker’s foot like you mean it because your life will depend on it. Once you have hit him hard, use your arm to find space between the attacker’s arm and your neck then tuck your chin to your body to prevent choking. Find the attacker’s pinky finger and snap it as it is the weakest of the fingers and will hurt more. Swing round to release yourself and get away. The groin area is an effective place to hit when the attacker is in front of you. All you have to do is hike your knee and push your foot into the assailant’s groin. Kick hard, and put as much of your foot into the groin area. Back your foot away as fast as possible before the attacker has a chance to grab it. In order for you to escape this grip around the neck, you have to act as fast as possible before the attacker has a chance to cut off your air supply. The Centurion Fight Club said that you would need to bend your elbow in, to get out of the wrist hold, pushing upwards to break free. For a front choke, swing one arm across to break the attacker’s hold then use your other arm’s elbow or hand in a knife strike position to hit the attacker. The bear hug in this instance refers to when the assailant grabs you around the shoulders or the sides of the body. The best technique to defend yourself in this scenario is by kicking the attacker in the shin or stomping his foot with all you have got. Lower yourself enough to slip away from the grip. The Fight Club instructors explained that the following areas are the most sensitive body part that one should aim for in a dangerous situation. Roelf warned us that hitting anyone in the jugular notch (the visible dip in between the neck and the collarbone)is quite fatal, stressing that we should strike the jugular notch, of the attacker only if it is a matter of life and death. Other sensitive body parts that we can strike in self-defence are the eyes, the groin, shin or knees and the nose. These are some of the basic information that I acquired during the Pretty Lethal self-defence class. The instructors explained that with all these moves, the ultimate goal in an attack situation is to get away from the assailant as far and fast as possible when the chance presents itself. They say prevention is better than cure. Follow the basic safety rules, stay away from dangerous situations and follow your instincts if you sense any threat. 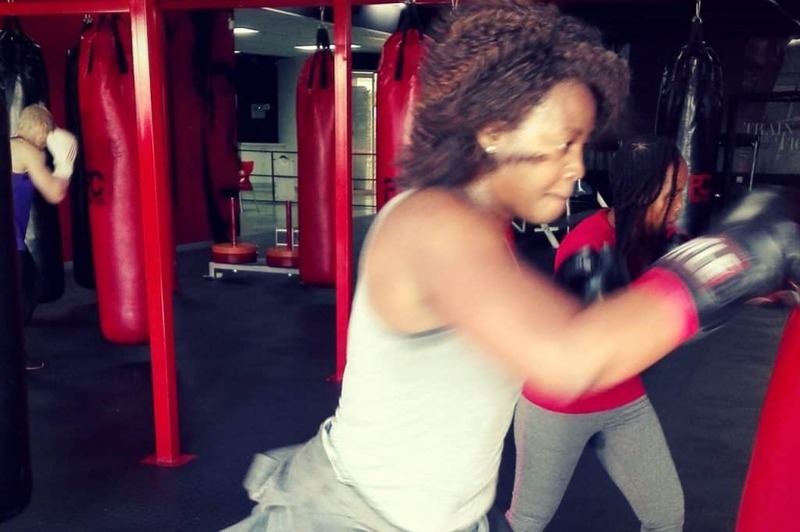 After our one hour Pretty Lethal session, the Centurion Fight Club invited us to join them the following day for a free group boxercise training session, led by Jabu Makhense. Obviously, I did attend the extra class, and so did my daughters, and my buddy Mareli Pretorius. It was a fire igniting session that hit all my body parts from head to toe. I have never done this kind of cross-training in one single session before. Some of the sweat dripping moves we did include kicking boxing with punching bags, running, cardio push-ups, weighted lunges; more running, weighted sit-ups, squats, more running, tricep dips and resistance running. Did I tell you we ran? Yea, we ran a lot. I was fully stimulated physically and mentally and I want more of the Fight Club kind of training. Have you ever taken self-defence classes or ever find yourself in a violent situation? 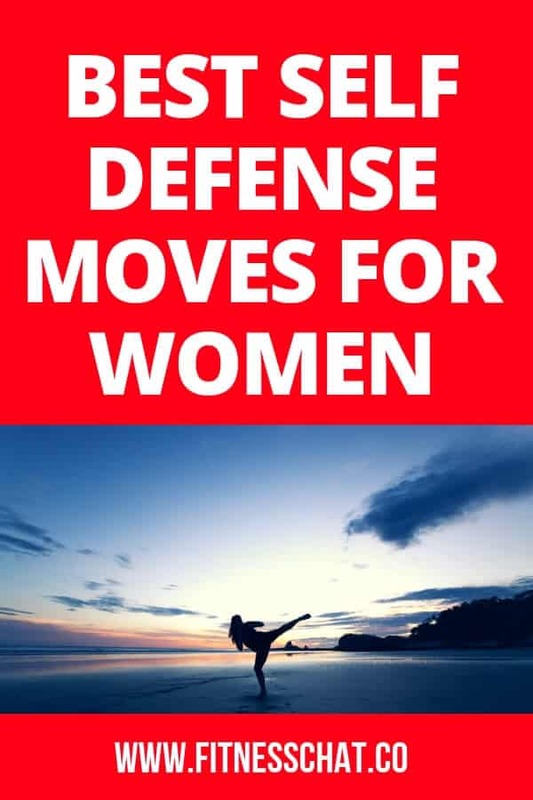 Which self-defence moves for women are you familiar with? Please share your experience in the comments below, you just might help someone. What a great post. All women should take a class like this to help themselves be protected. Learning one thing that can save her life is worth it. Thank you for posting this and I am sharing. This post was very detailed. I enjoyed reading about your experience. This looks like a fantastic class! You gave such a detailed overview and I feel like I now know what to expect. That looks like an amazing class and wow, what a workout! I’d love to try this! I often think I should get round to doing something like this. Well done you for giving it a go! This self defence class was very helpful and will highly recommend Centurion fight club to everyone. It is important to learn how to defend yourself.. These are great tips! I knew about stomping on the foot if someone has you in a headlock. Otherwise, I’ve forgotten most of what I learned in my college self-defense class. Great reminder to take another course. This is the sort of thing I want my daughter to go to when she’s older. I’d love to attend this. 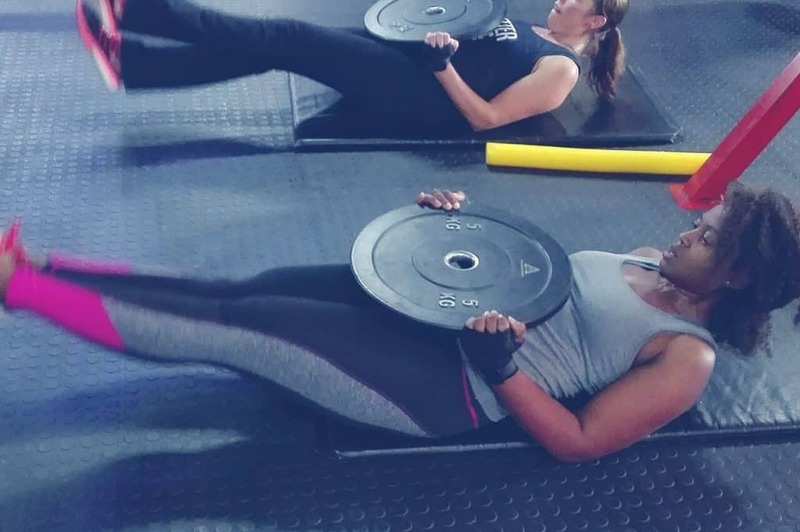 Do you know if there are any classes in Joburg? The campaign ended on 19th May. I understand they will run another one and will keep you in the loop. Wow that looks really good. It is good to know how to defend yourself. I did a self defence course years ago I think another might be needed. I learned a lot about how to defend myself just reading your post. I agree, just stay out of harms way the best you can! I just came back from a not-too-busy park. And as my husband and I walked towards the desolate restroom area, I said to my husband, “this is the type of place, where if you’re a women, you have to worry about getting raped in the restroom.” Needless to say, these are some great tips. I will file these in my head in case I ever need them. I love that you took a course like this. I’m a firm believer that women should be equip to defend themselves in any situation and I’m glad you enjoyed yourself. I look forward to hearing about your progress with these kinds of classes. I have never taken any self defense classes before. It’s a good move by Reebok especially these days. I strongly agree that women should learn how to defend themselves when the time comes. Being in the military means training for self-defense as well and I think it’s awesome that Reebok is spreading the message to help these women learn how to fight for themselves. It’s nice that you got to be a part of their self-defense classes as well. There’s so much that women can learn from this program. Wow. I have always wanted to do a self-defence class. Think it would be a great benefit and think everyone should do it, especially women! This is awesome! I think its super important for women to know self defense… and I love that trusting your instincts is a part of that. This class sounds like one I should take. Im going to look into it and see if it theres one in my area. This is awesome! I think its super important for women to know self defense… and I love that trusting your instincts is a part of that. This class sounds like one I should take. Im going to look into it and see if it theres one in my area. Thanks for sharing! This looks fierce! I love how determined it makes you! I would love to try a boxing classes! Yes! I love this! 🙂 So much dedication and perseverance. Hard work always pays off and inspires others. I’ve heard of these types of classes but I have never attended one. This looks like something I might need to try. The pretty lethal class sounds really good, and hats off to Reebok, for hosting such a class and providing the training. It would indeed be very useful for all women to attend such a class.